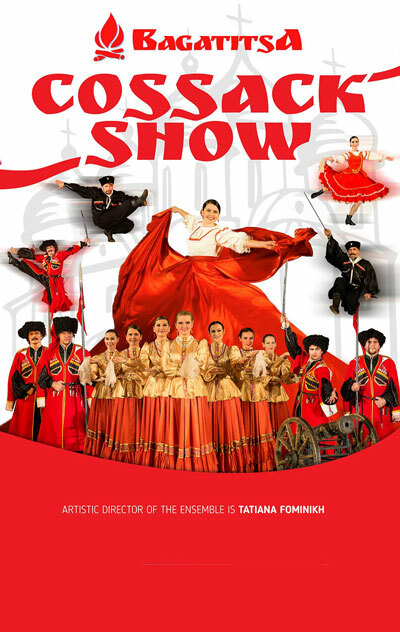 We give you the opportunity to visit the best famous Folklore shows of St. Petersburg with a 20% discount from our company on the promo code: AVEMEDIA. Ticket price - 2500 rub. 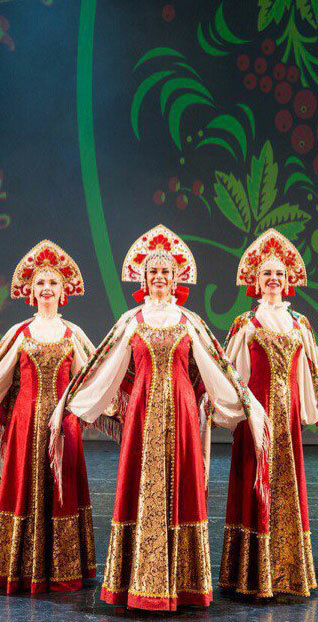 Professional folklore shows They give an opportunity to enjoy high skill of execution: at the same time, Russians experience a tide national pride, and foreign guests admire the "mysterious Russian soul." Services that we provide, interesting to both Russian citizens and foreign tourists. Tickets without service charge! For guides and excursion groups discounts! A unique tourist attraction, which allows one to feel the history and soul Russia! The presentation lasts 1 hour and 50 minutes, including an intermission (20 minutes). Russian folk songs, church songs in academic performance. In the repertoire of the dances of Stavropol, Don, Volgograd, Kuban Cossacks, as well as Cossack songs from different regions. Dances of different peoples of Russia, lyrical dances Russian North, incendiary dances of Voronezh and Don Cossacks, subtle humor of choreographic miniatures Ural and Siberia, and of course, delicious stunts performed by our artists. In the palaces of Saknt-Petersburg you can book excursions, breakfasts, lunches, dinners - for groups - in the luxurious halls of the palace, a gorgeous ball, a banquet on the occasion of a wedding, anniversary, New Year, family celebration, to hold a business meeting, conference or seminar at the highest level.